*Once registered, your badge is your ticket to the entire three day conference! We will use two theaters for speakers and presentations to cover an enormous number of critical topics you will be hearing about in the months ahead. The main Paramount Theater will host “Future of Moviemaking” topics, as well as career and new technology, new sessions are being added for filmmakers on topics ranging from real time rendering, virtual production to protecting “creative intent” using new technologies. *please check back regularly to look for updates which will be posted here throughout the week. The Sherry Lansing Theater (Rm #5) will be devoted almost entirely to XR, VR, AR, creative and business discussions. The Paramount Theater Lobby will be filled with demonstrations of dazzling, new technologies you will want to experience first hand. WE’VE ARRANGED FOR BUFFET LUNCH SERVICE TO BE ONGOING FROM 12-3PM SO THAT YOU WON’T MISS SESSIONS THAT ARE OF INTEREST TO YOU! 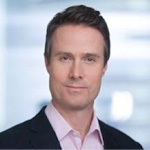 From his position as Director of Strategy and Technology at Salesforce, Jonathan has a unique perspective on technological advancements moving through our economy and our industry in the year ahead. 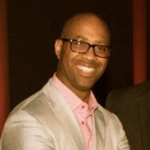 He will summarize his thoughts and share specific areas for savvy professionals to watch for in the entertainment and media space. As he was one of our most highly rated speakers at “AIS On The Bay” conference this past May in Silicon Valley, we are thrilled to have Jonathan in Hollywood to kick off our day at On The Lot. The Mars Insight Lander explores the possibility of life on Mars. Much of this technical achievement has its roots in the Apollo race for the Moon 50 years ago. The Buzz Aldrin Foundation is at the forefront of technological developments in outer space and here on Earth, utilizing new storytelling devices, including VR to educate and inspire viewers. There is no more important technical conversation happening in production and post production than asset storage and security. Perhaps unseen by the public and many professionals, behind closed doors at every studio and creative organization are serious discussions on how to protect content from cyber theft. The chain of safety is only as strong as its weakest link. For the first time at on The Lot, we are thrilled to bring you one of our industry’s leading voices on cyber security and what you must know about it to work in entertainment. Join us for this important education opportunity about safeguarding your IP. As the industry tackles challenges with deploying VR at scale, some creators are looking to a different channel to take their creations to market: the phone in your pocket. Technologies like ARCore and ARKit, and first party applications from social networks and big retailers are establishing the smart phone as an everyday device for augmented reality. Join this panel of leading creators and technology innovators as they explore how mobile AR is being used to tell stories, personalize experiences and help brands reach audiences in a more engaging way. Not since the introduction of sound in 1927 has Hollywood faced so many dynamic new forces emerging for 2019. Pete Lude joins us to explain the next generation of cinema technology coming to theaters. 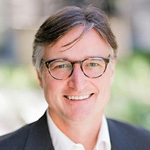 Michael Zink of Warner Bros. also serves as the Chair of the UHD Alliance to better coordinate the roll-out of high quality content on a variety of screens. 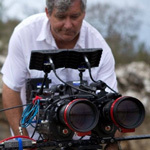 Corey Turner’s team at Paramount empowers films from Michael Bay to Tom Cruise to deliver quality 3D versions and a variety of other formats all the while “maintaining creative intent.” As former head of Late Night digital for NBC Entertainment in NY, Michael Scogin moved to LA where he oversees VR/AR and other digital platforms for the company. Bruce Tartaglia leads R&D for DreamWorks Animation Studios. He is considered one of the leading studio experts on blockchain and its potential as a tool for IP owners. Together this group best understands the day to day business priorities of our industry’s studio community. Join us as we learn what Hollywood’s power players are prioritizing in 2019. As head of AR/VR, Commercial Virtualization for Dell, only a few people see more applications for technology in the creative process than Gary Radburn. In the last 12 months, Gary has literally traveled the world for Dell and has a keen sense of where successful applications are earning ROI for their professional creative teams. Join us as Gary shares his take on what we need to know about success in 2019. We are thrilled to have the President of Innovation Studios for Sony Pictures Entertainment, Glenn Gainor, joining us at On The Lot. Glenn leads the Studio’s new state-of-the-art digital technology facility dubbed Innovation Studios on their Culver City lot. The center is designed to bring advanced technologies like volumetric capture to filmmakers, TV show producers and even Hollywood outsiders. From scanning sets across the world and using the scans to shoot scenes in Hollywood to reusing digital assets in movie sequels to save time and money, Glenn’s team is developing new innovations that will save tens of millions of dollars in production and empower creatives. Glenn says these new technologies, “are not an experiment, not a toy, but a tool.” Find out how Glenn’s work will change the way we all work in making content in the next two years. 12-3PM – Lunch – Buffet Lunch will be available on the patio just outside the Paramount Main Theater. AR wall is one of the most talked about new technologies for use in motion picture effects, interactive displays and location-based amusements. It is one of the most significant new tools developed from the AR community’s collective imaginations. Among its remarkable capabilities, it adjusts to camera movement and eliminates the need for a green screen and brings a whole new power to GPU rendering. We are deeply grateful that the AR wall team could bring an actual system for you to experience here at On The Lot. What software allows you to download your favorite Apple product or make a purchase from a major Hollywood studio? SAP tech team is behind the scenes solving major challenges in securing and selling a myriad of products and missions for the biggest names in tech and entertainment. Join us for a conversation about what’s driving the industry’s economics in 2019. With studio mega mergers and two new studio streaming services announced, 2019 will be, by all accounts, the most disruptive year in work forces and employment in more than a decade. All this as our industry is producing more content for consumers worldwide than ever before. So where do we all fit in the emerging Hollywood economy? How do we manage our greatest asset (ourselves)? We’ve asked two of the most powerful people in HR to join us and enlighten you about where the job market will be as your career progresses. 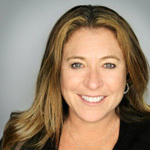 Kathy Mandato has headed up HR for NBC Universal, Snap and actively consults for XPrize. She has been instrumental in bringing individuals into major companies, assembling compensation packages, and supporting their success. 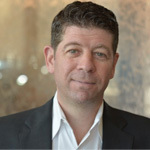 Bill Simon in his role as head of the Korn Ferry Entertainment Practice, is retained by every major organization in movies and television to recruit senior department heads and studio chiefs. What kind of people are being sought for the 2019 job market? What do people in the hiring process want to see on your resume? What’s the best way to discretely let the market know that you’re available for a job? Join us as we focus this session on your personal career success. 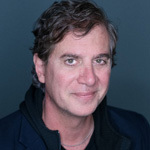 Session 12 – 3:40pm – The Grammys, Musical Artists and Fans…Using AI to Make Powerful Connections. In his role as CMO for the Recording Academy, Evan is charged with making certain that the music industry and Grammys telecast stay cutting-edge by connecting their 20 million viewers to music’s biggest names. The Grammys used IBM Watson this year on the red carpet and throughout the telecast to connect with fans. By analyzing more than 125K-related photographs and tagging them using facial recognition, emotion and other key characteristics,. Find out how AI is changing the way the Grammys operate in real time and how consumers are changing the way they relate to music and movies. VR technology and storytellers are now on a mission to save lives. Doctors, surgeons, oncologists, and medical schools have quickly seen the lifesaving value of VR for teaching surgeons how to operate and for analyzing and treating individual tumors and cancer cells. Find out where these applications are proving their enormous value. 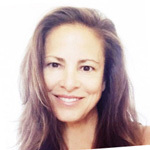 Called the godmother of VR, and recently named by Time Magazine as being one of the country’s most influential technology professionals, Nonny De La Pena has been a writer and visual storyteller known for tackling tough, emotional and powerful subjects in her work. 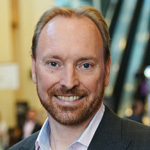 Halsey Minor is a co-founder of Salesforce and CNET, andis one of the most quoted visionaries in the technology andinvestment worlds. After founding and leading CNET, the first network devoted to technology, he sold the company to CBS for 1.8 billion dollars. Mr. Minor is now being closely watched for his involvement in VR and crypto currencies. We are privileged to have these two revered leaders in immersive technology to share with you where they believe the smart money is moving in 2019. 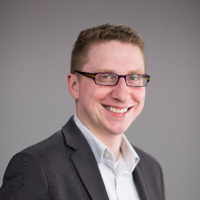 TechCrunch – Jonathan Schieber is an Editor for Tech Crunch and a former senior reporter for Dow Jones covering venture capital and private equity investment from NY and Shanghai. Session Discussion Topics: The Live Planet VR System is an end-to-end VR video platform that creates dramatically better stereo VR video than any other method. The platform is a complete system: camera, cloud and apps, that can deliver VR video live or recorded to all 360 and VR platforms (Gear, Playstation, HTC Vive, Oculus, Daydream, etc). The camera stitches perfectly in stereo in real time and the cloud provides viewport-based streaming, delivering perfect stereo VR all the way down to 2 Mbps. While VR point solutions have been around for the last few years (largely focused on cameras and headsets), immersive video has yet to take off because no one has focused on the full range of production and distribution challenges. It is impractical or impossible to easily capture perfect stereoscopic VR and distribute it either instantly for live purposes or readily record and store it for later use. Applications in media and beyond have been simply too hard to deliver. There are few terms that have been used more this year than “blockchain”. Is it just an algorithm? Is it a credibly secure way to protect a studio’s IP? Is it only as safe as the person who designs the capability for your content? To get some clarity on how to view blockchain and what kind of investment in time and resources it warrants, we’ve asked one of the most experienced tech experts to shed light on this capability. 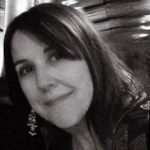 Amy Peck serves as founder and CEO of Endeavor VR, a VR and AR strategy consulting firm. 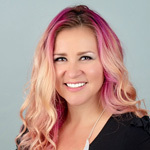 Her expertise spans several industries including games, entertainment, social media, and the new applications for immersive media in medical and other fields. From the red carpet at the Grammys to network sports, AI and machine learning are already proving themselves as powerful tools for producers. A rare subject for discussion just a few years ago, almost every organization in media and entertainment are now planning to integrate AI into their strategies at every level. Today we’ve assembled several seasoned production pros who’ve had a chance to assess where and how AI can have an immediate benefit to producers working at all budget levels. Mary Duda is well known for producing Disney World’s EPCOT grand opening in 1983. Revolutionary for its time, she utilized multi media in ways never before imagined. 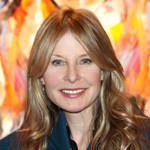 Her work has been seen in the Los Angeles Olympic committee’s media, the AFI (American Film Institute) and NASA. 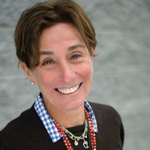 Ann Greenberg is a digital media pioneer and through her company Gracenote has connected millions of people to the content they love. In 2017, Nielsen purchased Gracenote for 560 million dollars. Her new venture is entertainment AI. 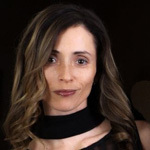 Mariana Acuna, CPO and co-founder of Opaque Studios with a background in visual effects where she worked movies including Wall Street, Treasure Island, and television program, including Lost. 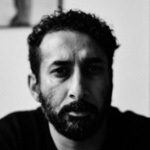 Ramy Katrib, Founder and CEO of Digital Film Tree, and served on dozens of productions as producer, editor, visual effects producer, cinematographer and director. Ramy is also a member of the AIS Board of Governors. 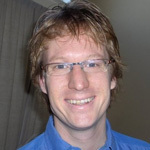 Session 18 – 11:35am – Immersive Production: What Comes Next? Producing For an Unseen Future. Key to all successful content ventures is a production pipeline that allows artists to focus on their creative process while making the workflow and production a seamless and manageable experience. But how do organizations transition from traditional facilities and pipelines to a new and more flexible digital delivery process? We’ve invited several colleagues who will address these questions for you as they explore the production procedures of the future. Ethan Stearn, Executive Producer at Madison Wells Media has worked closely with ILMxLabs and Skywalker Sound to deliver projects that are technically and creatively dynamic. He currently works to bridge the gap between traditional theatrical cinema and more immersive digital experiences. 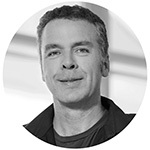 Tim Dillon is Head of Immersive, MPC. Jacqueline Bosnjak has been named by AdAge as being one of the top 50 influential creative figures in 2017. Justin Denton is Director of “Chained”, which combined immersive experience with elements of live theater and is now showing in Los Angeles. 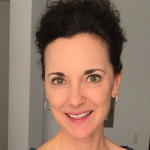 Moderator: Carolyn Giardina serves as the Tech Editor for the Hollywood Reporter and was named as a Distinguished Leader in technology by AIS. With each new technical innovation leveraged by content creators, an inevitable search begins for finding the right applications which deliver an acceptable ROI. A significant number of success stories have emerged around location-based VR content. But with any new developments, there are lessons to be learned. We’ve asked leading colleagues to explore this topic to increase the likelihood of your success. 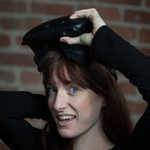 Daisy Berns is General Manager at Exit Reality VR, based in San Francisco. 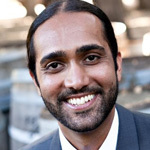 Baba Uppal serves as SVP for Strategy and Business Development at Secret Location. 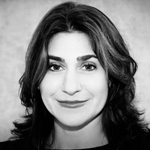 Lynn Rosenthal is CEO and Founder at Periscape VR. 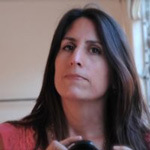 Nancy Bennett is Chief Creative Officer at Two Bit Circus in Los Angeles. 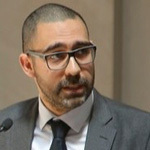 Ramy Katrib is Founder and CEO of Digital Film Tree. 12 Noon-3pm – Buffet lunch is available just outside the Paramount Main Theater. From sound to color to 3D to digital, HFR and now HDR, every entertainment platform has moved through a cycle of ups and downs until finally finding its business and creative footing. Core to long range health, is having long term plan. We are thrilled to welcome several esteemed industry colleagues as they explore how to navigate the next few years of development for VR, AR and XR. 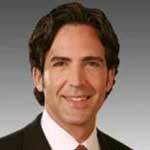 Jason Brenek recently departed his role as President of IMAX Home. 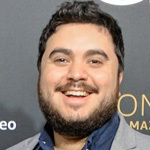 Prior to that he was a senior executive with Walt Disney studios and was instrumental in launching several of the studios earliest and successful 3D titles, including Miley Cyrus 3D. Marcie Jastrow has arguable worked on more blockbuster movie productions than almost any other production executive working in Hollywood. She has also been I the forefront of moving women in senior roles in an industry long dominated by men. She currently leads the Technicolor Experience Center in Culver City. to the rest of our industry.Martina Welkhoff is an entrepreneur and investor and active in Women in XR. 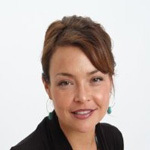 Abby Albright is co-founder at WXR Venture Fund and Women in XR. Christina Heller is CEO of Metastage. 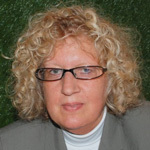 Janie Fitzgerald is founder of Axis Images and Immersive Imaging Studio. 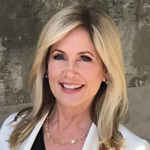 Cheryl Bayer is CEO of Living Pop Ups and immersive company with multi-faceted expertise in entertainment and multimedia. Rika Nakazawa is a digital innovation leader and specialist in AI/XR. Moderator: Khayyam Wakil is a strategic advisor and venture capitalist with Live Panet, Inc.
5G Networks will start invading cellular airspace and countless devices beginning 2019. From driverless cars to streaming content, 5G offers users a system 100 times more powerful than the current 4G infrastructure. But like any new system, it has technical challenges to overcome. In partnership with 3GPP and the VR Industry Forum, we are pleased to welcome the leading experts on how this remarkable capability will impact content makers in Hollywood. 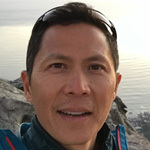 Nikolai Leung is chair of the 3GPP SA4 Multimedia telephony services over IMS subworking group. Mauricio Aracena is the Standardization Manager at Ericsson. 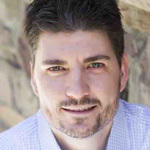 Rob Koenan is the founder and CEO of Tiled Media and serves as the President of VR Industry Forum. 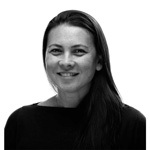 Zeda Stone is Chief Innovation Officer for RYOT and was co-founder of Captivate Inc. If there is a sentence that has been used in Hollywood since the days of silent movies, it’s probably, “we can fix this in post” and over time, any pro learns that true assuming you have the time and money. We will find out if VR, AR and XR are any different from the entertainment platforms that have come before. We will talk about the tools and the rules creatives need to use and remember to achieve creative success in 2019. 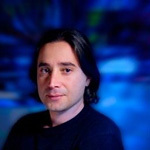 Aden Bahadori is co-founder and CEO of Torus Media Labs. A software solution company dedicated to Immersive Media. 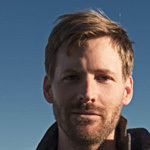 Chris Bobotis is Director of Immersive for Adobe. 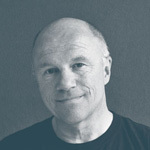 Khayyam Wakil is a Strategic Advisor and Venture Capitalist for Live Planet, Inc.
Jannicke Mikkelsen works with the legendary British rock band, Queen. The movie Bohemian Rhapsody, which chronicles the band’s life with front man, Freddie Mercury, has just crossed over $500 million at the worldwide box office. Celebrating the band’s music and directed by Ms. Mikkelsen, “VR The Champions” was a collaboration between the band and vocalist, Adam Lambert. We’ll hear the story behind the making of this very timely VR music experience. Tristan Cezair serves as creative and technical director for VR, AR, and MR content for Crèam Production. He has spent the last 15 years in the world of advertising and digital marketing. 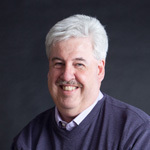 Throughout his career, Tristan has been devoted to developing digital and interactive platforms. A visual storyteller, he has used immersive technologies to help brand apparel lines and sports products. He will share his insights on how we can and will leverage immersive media to successfully market products and produce profits. Volumetric Capture and its capabilities bring innovative solutions to every aspect of narrative storytelling. Your conference leadership felt that a simple PowerPoint in a screening room would simply not demonstrate this new system properly. So, to give you a full experience and understanding of this groundbreaking new capture system, we’ve moved Day 2 of the conference to the Microsoft Metastage at the Culver Studios in Culver City. Join Christina Heller, CEO of Metastage and your friends and colleagues as we experience demonstrations and a holiday cocktail party with food and drinks. Your conference registration is your ticket to the party and demo on Stage 8. This event has been designed to be continuous, so come and leave when its convenient. You won’t be late for the festivities for this unique soundstage holiday celebration. Saving some of the very best for last! We invite you all to join us at the stunning new google “spruce goose” office in playa vista. the society and our friends at Google will present a series of sessions and speakers exploring how our industry’s finest storytellers plan to thrill audiences with movies and immersive content in 2019 and beyond. From shooting virtually on set to producing in the cloud, we think our Google sessions will inspire you and your team to reach higher and make ever more exciting content. 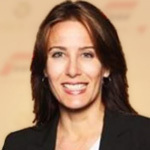 2:30pm – Your registration badge is your ticket to a very special keynote conversation with Marvel Studio’s EVP, Production, Victoria Alonso. She has served as executive producer for every major Marvel movie and oversees a team of cutting-edge creatives working on as many as eight Marvel titles at a time. Ms. Alonso has been honored by the Society with the Harold Lloyd award for filmmaking and the Distinguished Leadership Lumiere Award. You will be hosted for lunch by Google and have time to enjoy your surroundings while connecting with new and old friends. Enjoy this year’s On the Lot Conference!